Whether your family celebrates Easter or not, Kiawah Island is a great place to spend the holiday. You can stay at The Sanctuary Hotel at Kiawah Island Golf Resort or at one of the island’s 500 villas and private homes. This luxury resort caters to both parents and kids with unparalleled natural beauty, impeccable service, delicious food, and activities galore. There is truly something for everyone! If your family celebrates Easter, you’ve undoubtedly participated in a lot of Easter egg hunts, but I’ve never seen anything like this: an Easter egg hunt in the Night Heron Children’s Pool! This heated pool is like a water park, including water slides, a splash zone, and a toddler area. The eggs are everywhere, so many that all of the kids are guaranteed of coming away with full buckets! The eggs come down the water slides and are dropped out of the 30-gallon dump bucket. My children were in heaven! And an adorable Easter Bunny is there to watch all the fun. Cost: Free. KidTripster Tip: Pack a mesh bag or plastic bucket for egg collection. If you forget, you can purchase a bucket from the recreation staff or find an inexpensive one at the nearby Publix shopping center. This is one of the biggest Easter egg hunts our family has ever participated in. The resort spreads out 11,000 eggs in different areas, separated by age. But don’t expect to “hunt;” the eggs are all in plain view. Each age group has a golden egg that can be turned in for a prize, so bring your baskets! Immediately after the hunt, there's an egg toss contest. It starts out with more than 100 teams and then quickly gets whittled down to a high stakes toss-off. My kids loved playing, and it was fun to watch the winning teams. The Easter Bunny is present throughout the activities and available for pictures. Cost: Free. 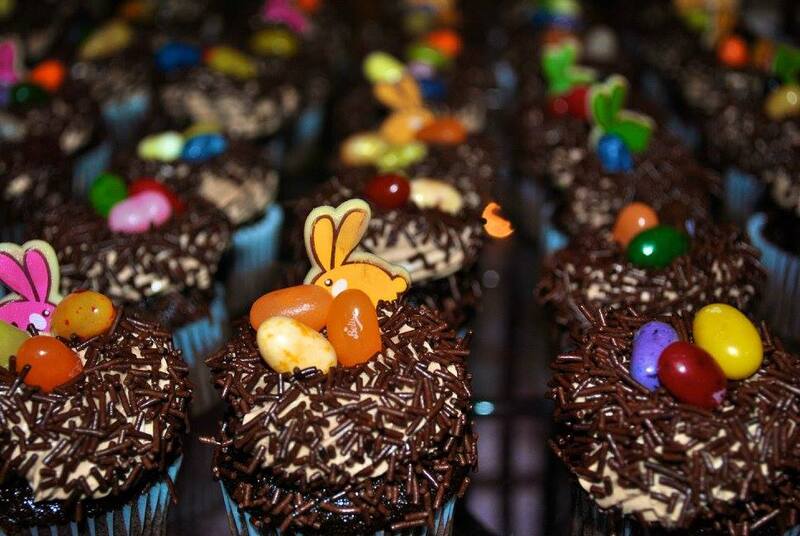 KidTripster Tip: If you won’t be on Kiawah for Easter weekend, you can still take part in fun Easter activities. The special Easter programs begin the Monday before Easter and end the Friday after the holiday, including an “Egg”streme family kayaking hunt and an evening EGGstravagant Easter Festival with jump castles, photo booth, train rides, lawn games, roving entertainment, and glow gear. Any Harry Potter fans out there? Even if you’ve never read the books or watched the movies (what?! ), your kids will want to play. Quidditch is played while flying on brooms; at Kiawah, it’s played Muggle-style. Kids are split into Gryffindor and Slytherin teams. They run with brooms and try to throw the Quaffle (ball) into one of the goals, while trying to avoid being hit by a Bludger (another ball). The resort recommends this sport for ages 8+, but my 6-year-old daughter happily played. The resort staff sells $4 butterbeers (cream soda floats), and kids can make bracelets ($15/each) in the colors of their favorite Hogwarts House. Cost of game: Free. It may be a family vacation, but sometimes it’s nice to get away for some adult-only time. 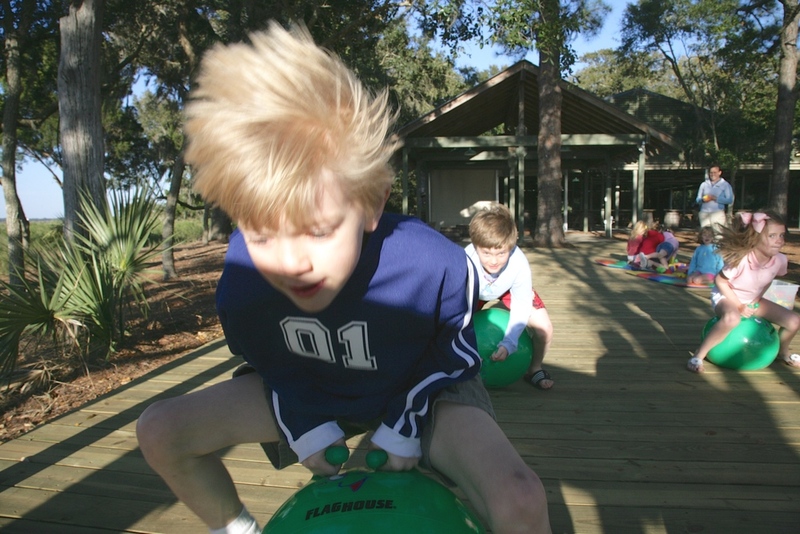 If you’re planning to spend time at the spa, golf or dine without kids, Kamp Kiawah offers both day camps and kids' night out programs. The amazing recreation staff arranges games, crafts, and swimming. Our kids spent an evening; even our hard-to-please 9-year old loved it! Cost: $40-$95/child. KidTripster Tip: The South Carolina Lowcountry is one of the loveliest places on earth; but during high season, you can cut the humidity with a knife, and the mosquitoes are as big as birds. Spring and fall are the perfect times to visit. During Easter, temperatures average around 70 degrees. Pack layers and don’t forget about rain gear. Our family opted for the sunrise yoga class 6:45 a.m. We were pleasantly surprised to find that we were set up near the 7 a.m. non-denominational Easter church service. It felt like a two-for-one deal! Sunrise yoga on the beach is such a beautiful way to start your day. I loved listening to the live music and service, as I reflected on the beauty of Kiawah. Cost: $20/person. Kiawah has more than a dozen restaurants, cafes, and lounges, so you’ll find something to entice every palate. Be sure to try the local specialty, shrimp and grits. For Easter meals, choose from several options like brunches (Cost Youth $25; Adult $75), an oyster roast & BBQ (Cost Youth $25; Adult $50), and several luxurious buffets (Cost Youth $25; Adult $75). KidTripster Tip: Kiawah restaurants can be pricey, and breakfast is not included at The Sanctuary. We brought our own snacks and warned the kids not to eat anything from the minibar. There is Publix supermarket just outside Kiawah and a mini market on the property. Our family grabbed pastries, cereal, and milk from Beaches and Cream and took advantage of the free coffee. Kiawah has five championship golf courses designed by the world’s leading golf course architects, including The Ocean Course which has been named as one of America’s best and toughest public courses. Private Lessons (Cost: $120-$160/person) and clinics (Cost: $35-$45/person) are offered, as well as a Family Tee program where kids under 17 play free with paying adult. 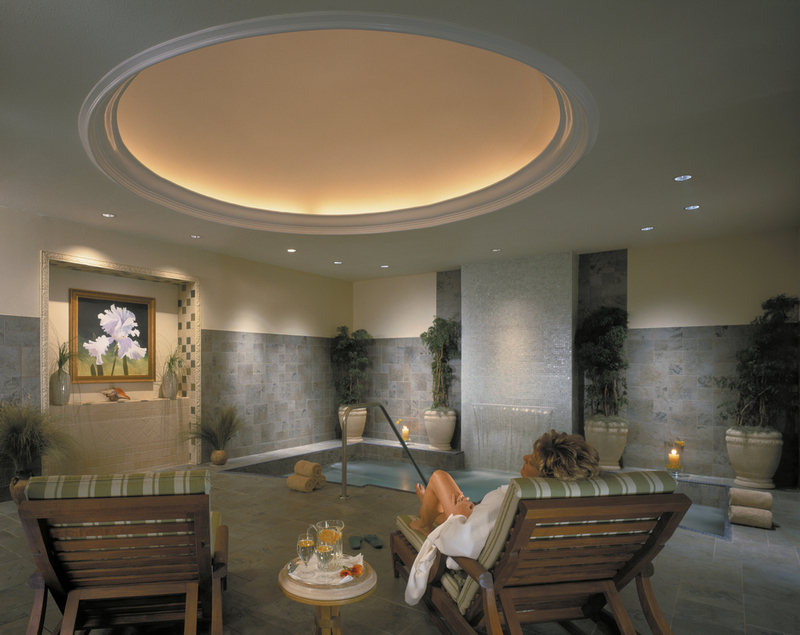 The Sanctuary Spa is one of only 23 Forbes five-star spas in North America. Enjoy a golf ball massage which uses an actual golf ball to work out your kinks or the Sea Essence Fusion which includes a sea salt scrub and a massage using warm polished sea shells. Before or after your services, you can enjoy the steam rooms, saunas, and vitality mineral water whirlpools in the men’s and women’s aqua retreats. Our family has traveled all over the USA, and more than any other resort that we’ve ever stayed at, Kiawah truly has something for everyone. Just a few of the other Easter activities included sandcastle wars, Easter Sunday sundaes, Center for Birds of Prey live show, and family crafts. And I could on and on with the unlisted activities. Most activities are included in the price of your stay; some, like sports lessons and crafts, involve an added fee. 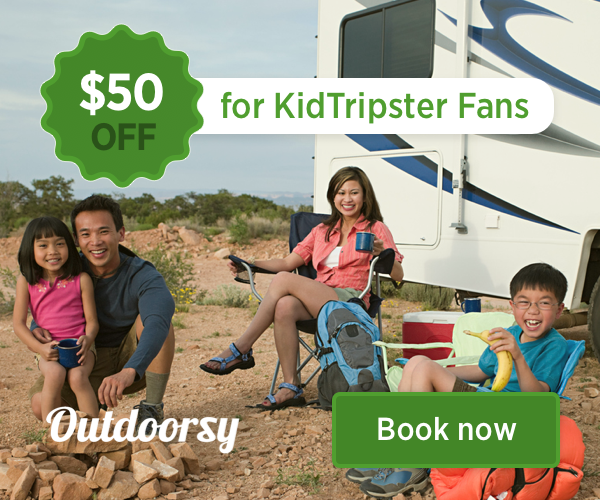 KidTripster Tip: The resort also offers bike rentals. Biking is a great way to get out and explore this spectacular island getaway. To read more about The Sanctuary, click here. Stephanie Hughes Pratt is a former television reporter and mom to two kids, living near Charleston, South Carolina. She is married to a fellow journalist, and the family has lived all over the USA. She suffers from a severe case of wanderlust and is always looking for the next great adventure.